Rev. 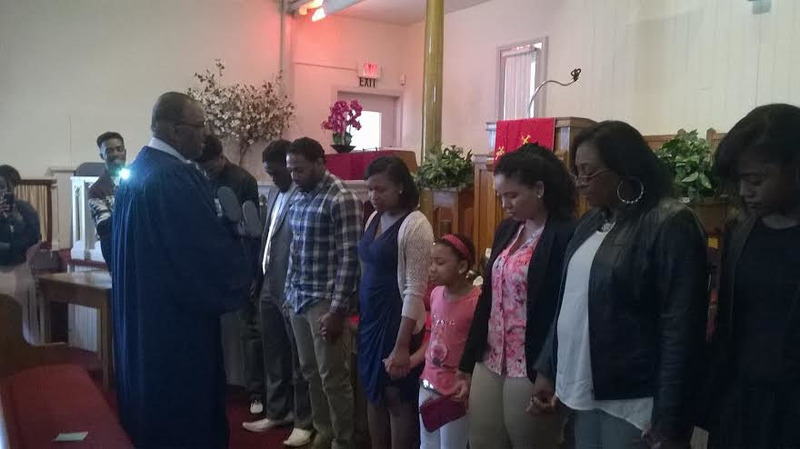 Al Smith facilitates and prays over a child dedication. The parents, godparents, and those who will have an impact in the raising of the child acknowledge that the child is a gift from GOD. Also, as stewards over this child, they have the responsibility to train up the child in the ways of the Lord. INSTALLATION OF REV. 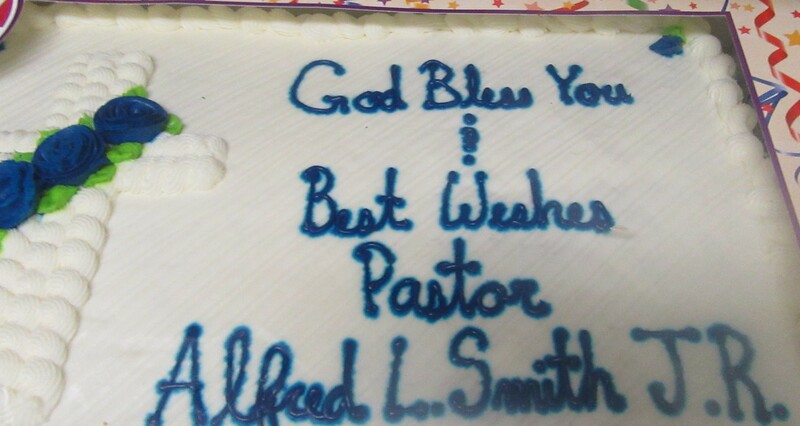 ALFRED L. SMITH, JR. 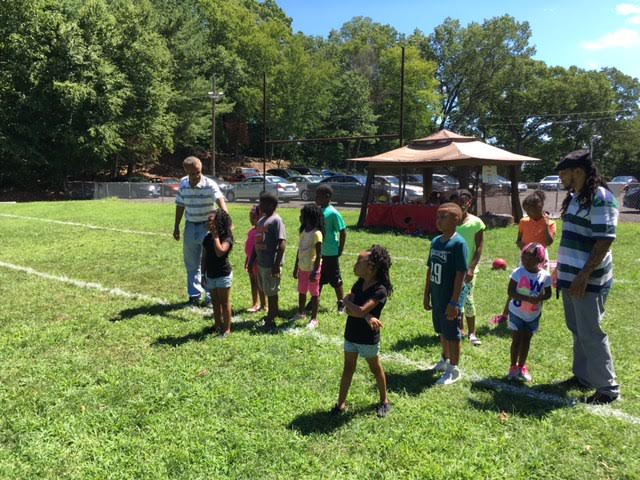 It was hot out on the field during picnic time, but not too hot for the children to enjoy themselves in a friendly competition of a relay race, shone above as they lined up. 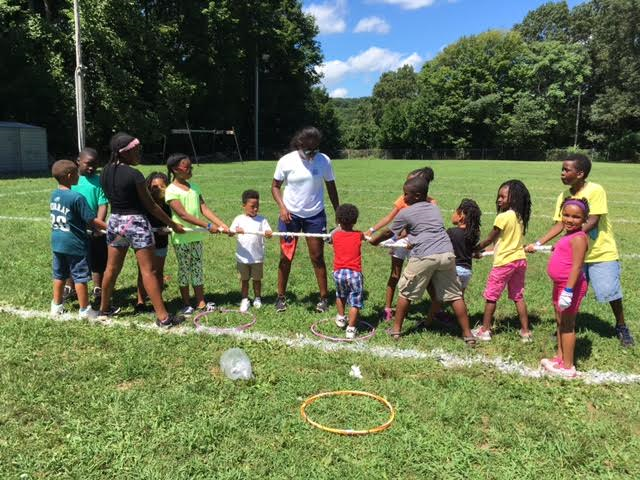 After the relay race, the children were ready to demonstrate their youthful strength in teamwork as they lined up for the tug of war game. Every child on the winning team of each competition received a prize. 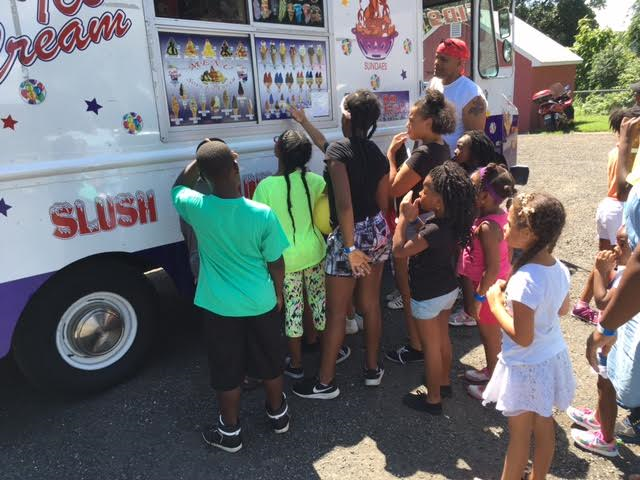 However, the best prize was when all of the children were told to line up for free ice cream of their choice, compliments of Trustee Shawn Venson. 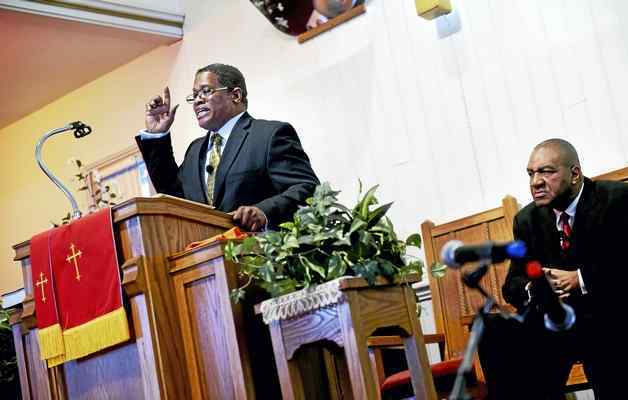 Minister Bruce Goldson, at podium, gives the keynote address "Now Is Not The Time To Lose Hope" at the annual celebration of the legacy of Dr. King held at the Macedonia Baptist Church of Ansonia and sponsored by the Ansonia Branch of the N.A.A.C.P. 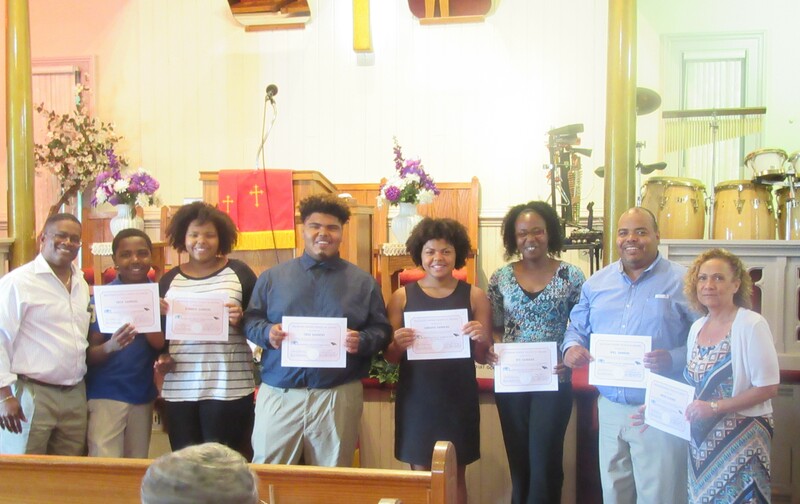 Seated is Pastor Alfred L. Smith, Jr. Other speakers to this well attended event included CT Sen. George Logan, R-Ansonia, Ansonia Mayor David Cassetti, N.A.A.C.P. 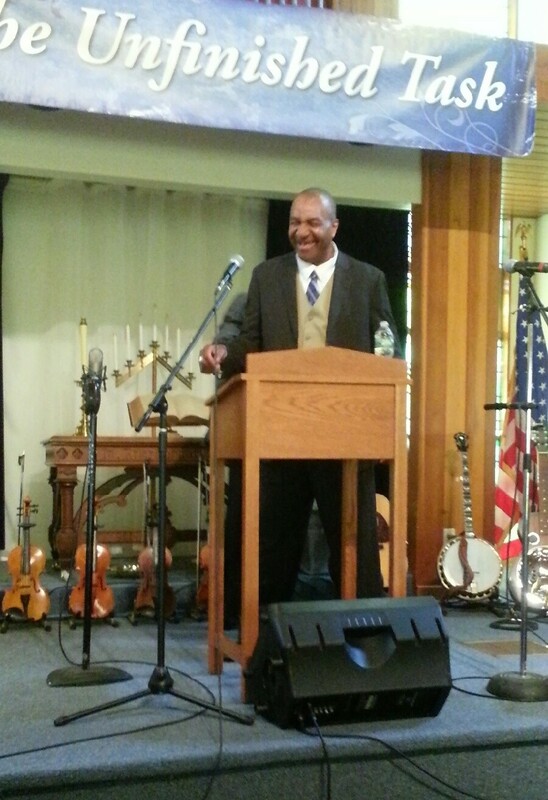 Ansonia Branch #2000 President Gregory Johnson, Pastor of Williams Memorial Church of God in Christ Rev. 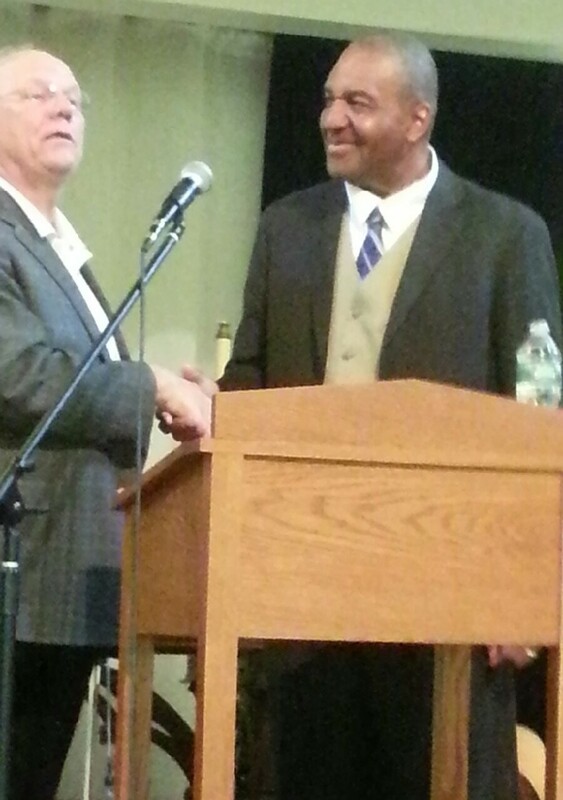 Samuel Levey, and Pastor of First Baptist Church (Ansonia) Dr. John Hinson. Church and City leaders are in discussions to place a bust of Dr. King at Gatison Park in Ansonia. 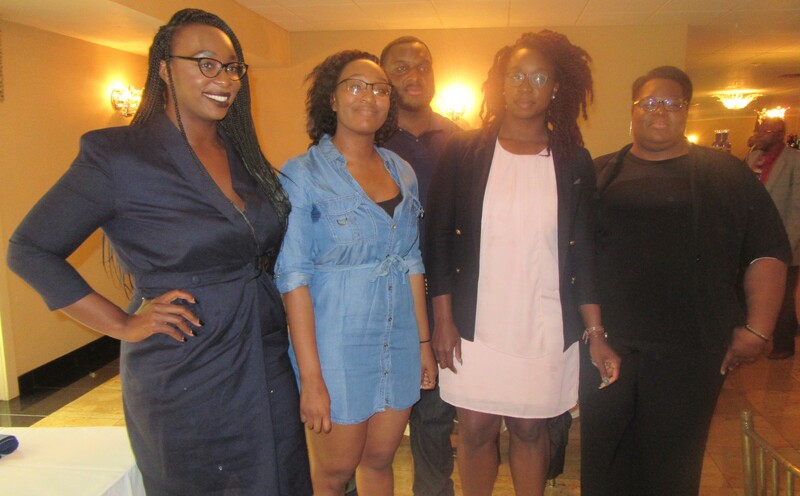 This story was covered by the New Haven Register and the Valley Independent Sentinel. A Best Wishes Celebration was held in the Fellowship Hall for Joanne & Perry Cacchillo (on left) on September 23rd as the couple is relocating out of state. 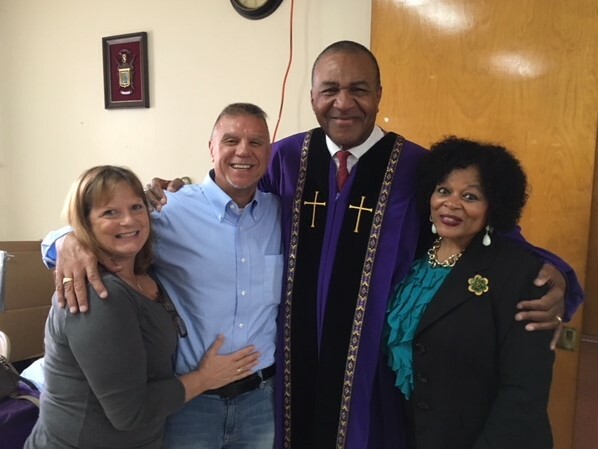 Joanne who sang with the New Dawn Ministers and Perry who was a drummer for the Music Ministry, devoted student of the Church School pose for a picture with Pastor Alfred & First Lady Brenda Smith. 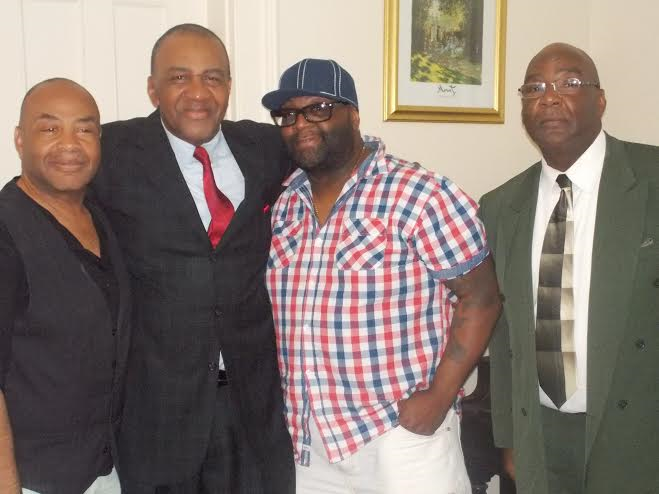 Wednesday April 3rd - MBC 130th Anniversary Committee Meeting. To be held in the Church Fellowship Hall at 5:30 PM. Saturday April 6th - Old Fashion Tea. 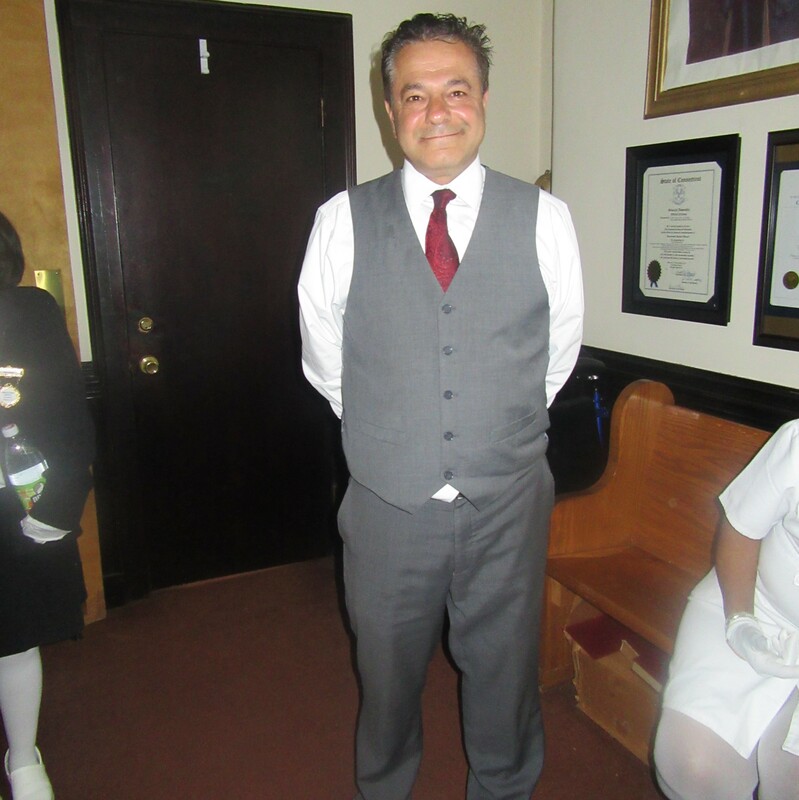 The Kick-Off of the MBC 130th Anniversary Celebration will be held at the La Sala Banquet Hall at the Sons Of Italy 73 High Street in Derby, CT. 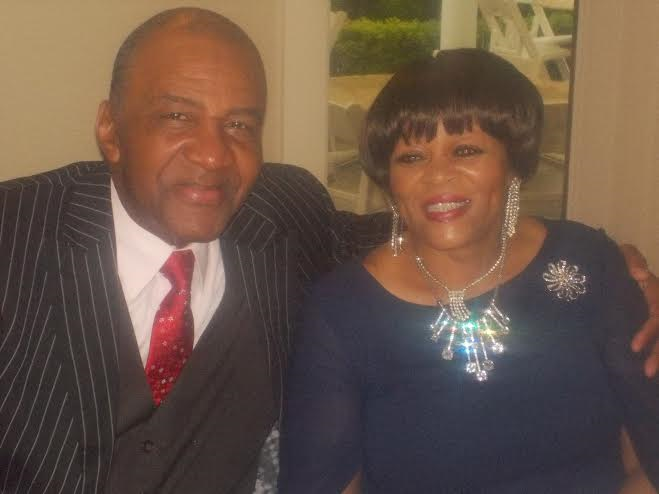 There will be Fellowship, Fun, & Special Honorees. Tickets are $20. This event is inviting the public to attend, and is from 1 PM to 4 PM. 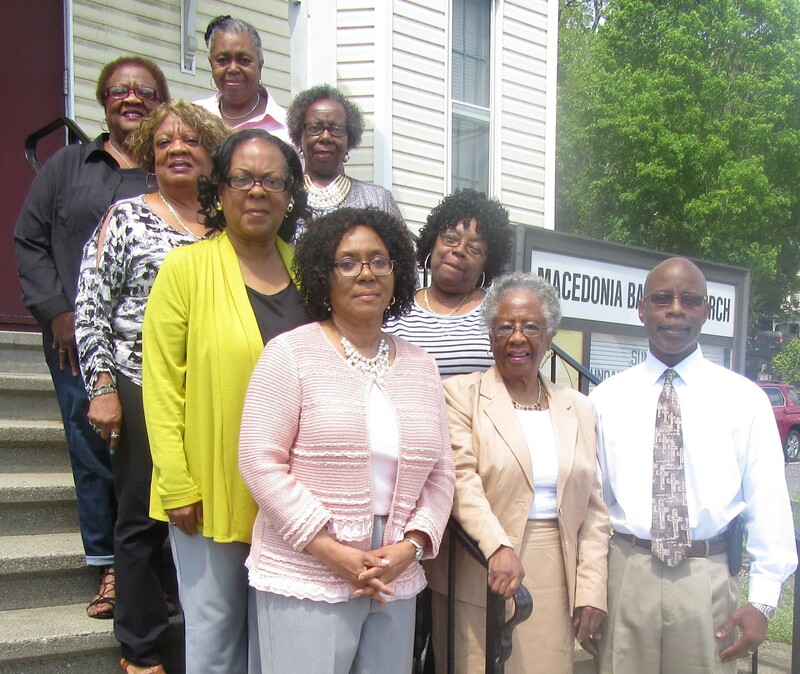 Wednesday April 10th - MBC 130th Anniversary Committee Meeting. To be held in the Church Fellowship Hall at 5:30 PM. Sunday April 14th - Palm Sunday. 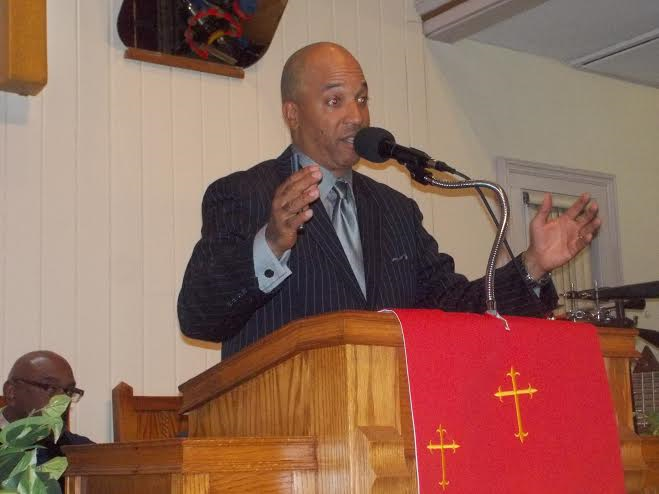 Postponed Until May - Pastor's Aide Ministry Monthly Meeting. To be held in the Church Fellowship Hall at 5:00 PM. Friday April 19th - Good Friday Service. To be celebrated in the Church Sanctuary from 11:00 AM to 12:00 Noon. Sunday April 21st - Resurrection Sunday. To be celebrated in the Church Sanctuary at 10:00 AM.